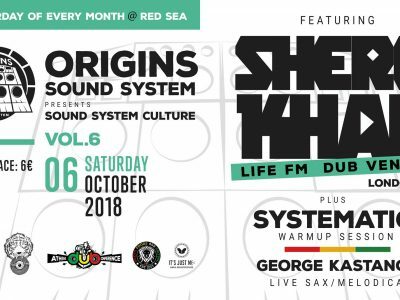 Origins Sound System starts the season with a very special guest from London/UK, SHERE KHAN who will mash up the dance with his amazing selection of UK DUB/ROOTS/STEPPERS and his uplifting performance and vibes. 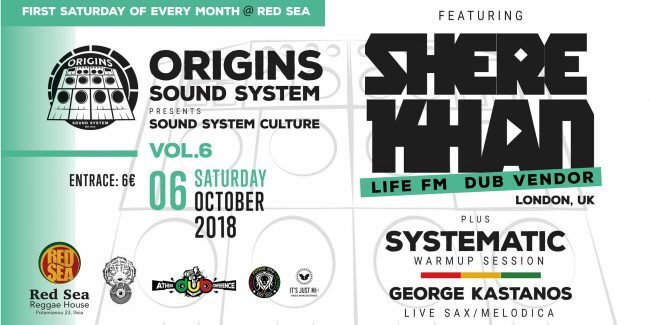 Plus Origins resident selector/operator Systematic along side George Kastanos on Live SAX/MELODICA. 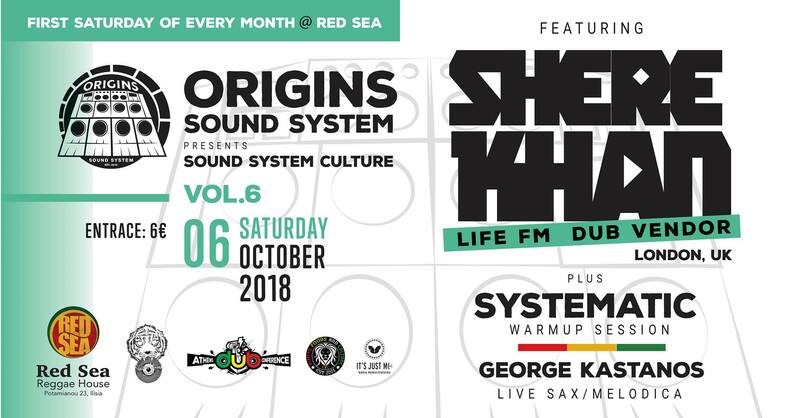 Not to be missed ! ! !